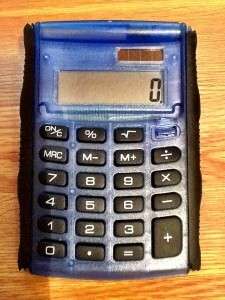 I like calculators. They are really useful when you’ve run out of fingers to count on. If you are divorcing and making a financial claim you will probably have to complete a financial disclosure questionnaire called a Form E. It asks for all sorts of information on people’s finances and one of the sections in particular is called income needs. Invariably, at first attempt, many people underestimate their true levels of expenditure. This calculator can help to focus on the true cost of the mileage that may be clocked up in getting to work. Or, you are negotiating with your ex over the amount of spousal maintenance or child maintenance that should be paid. One of you may require a car to get to work. That wage may be providing for maintenance payments. The cost of getting to and from work can be significant with the cost of fuel at the moment. This calculator may help to show just how much is being spent. This unavoidable cost could be factored into the discussions. Or a level of maintenance has been agreed and in place for a number of years but the paying or receiving party has a change of circumstances involving more motor travel, perhaps in relation to a work relocation. So the calculator could assist in showing why the change of circumstances means an adjustment in maintenance is required. Another scenario is where contact to children is being discussed. One of the parents may have to do a fair bit of mileage over time picking up or dropping off the kids for contact. It is a cost that could demonstrate why the parent paying maintenance will struggle unless this essential expenditure is taken into account. Or, for instance, if it is a mother working part-time and doing most of the motoring around to allow contact, why the maintenance she is receiving may need to have an element in it to cover this cost of travelling. Ideally, I wish I could find a calculator that would allow road, tax, servicing and insurance to be incorporated but no luck so far.